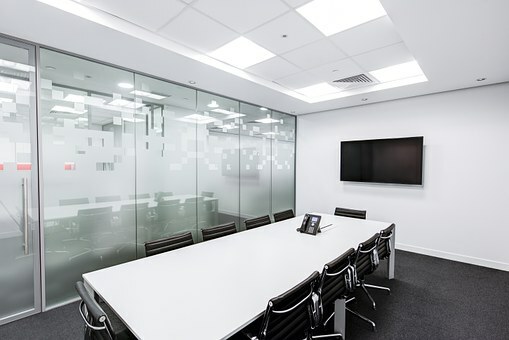 Hiring a meeting room may seem straightforward but it’s easy to overlook things, which are important for a successful meeting. Here are four essential things to keep in mind when hiring meeting rooms. If you have an interview then booking a large conferencing suite can be over the top and even intimidating. Likewise if you have a large training seminar then booking a small room can make conditions cramped and uncomfortable for attendees. This means that meeting room size is one of the most important considerations. Finding a place which has an array of rooms sizes and layouts means that no matter what the requirement you can choose a room that will work. When searching for a meeting space, you need to know what the facilities will provide for you. Depending on what the meeting calls for could inform the other kinds of equipment you’ll need. Things which are often required at meetings are; projector or television, white boards, flip charts or presentation equipment and access to Wifi. Not all meeting rooms are created equal and neither are the kinds of meetings you’re hosting. Some could be trainings, or team meetings. Ideally, you want to choose a meeting space that complements the nature of your meeting. Finding rooms with stylish and contemporary furnishings can give the right impression to your visitors. Considering the accessibility of the location you select is important. If there is travel required, make it as painless as possible. Consider if there is parking on-site and the availability of public transportation. If you are looking for meeting room hire in Telford then take a look at M54 Space Centre. They have a wide range of professional and impressive meeting rooms of various sizes and layouts. Moreover, they are available at competitive hourly rates. Their on-site friendly team offer a variety of services including welcoming your guests and arranging for catering. Find out more on their website.